Carl Brashear (1931-2006) was everything heroes are made of. He was the first African American soldier to join the US navy in 1948 and trained to become a deep-sea diver, despite facing racial discrimination. In 1966, another challenge was sent his way when he lost the lower part of his left leg during a diving mission to salvage a hydrogen bomb. Never deterred, he fought to continue his diving career through exhausting rehabilitation and a will to prove he could do the job. In 1968, he became the navy’s first amputee diver, and in 1970 he qualified as a Master Diver, again the first African American to do so. Brashear’s story was the inspiration for the film Men of Honour, in which Brashear was portrayed by Oscar-winning actor Cuba Gooding Jr.
His story has also touched the hearts of the team at Oris who have partnered with Brashear’s son, Philip Brashear, to create the Oris Carl Brashear Chronograph Limited Edition. This is the second limited edition Oris has dedicated to the American hero. 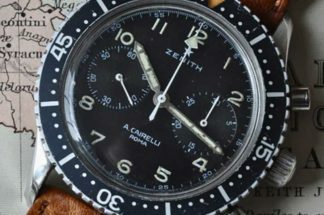 The first was a time-only timepiece. 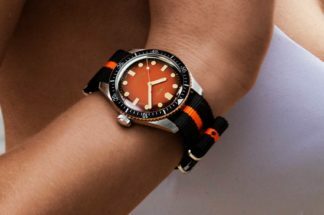 A portion of the proceeds from the sale of the watches goes to the Carl Brashear Foundation, a charity which aims to spread his incredible story to bring faith, strength, humility and dedication to others. The Foundation also gives back to veterans in need and others who require assistance. 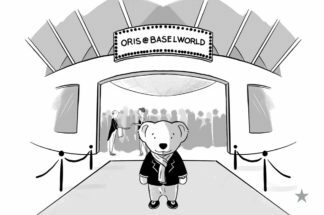 Philip Brashear made a surprise appearance at Oris’s Pre-Basel presentation in Zermatt to unveil this new watch, much to the delight of all those present, including Revolution’s British and Swiss Editors. 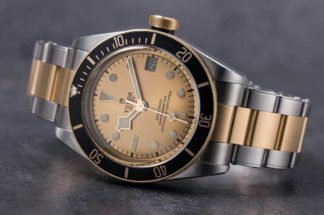 The timepiece is based on the Oris Divers Sixty-Five Collection and has been crafted in bronze as a nod to the early diving equipment that Brashear used. The movement is the Caliber 771, a special movement with a two-counter chronograph and a 48-power reserve. 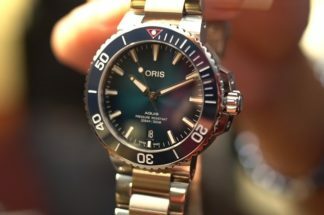 It is based on Sellita’s SW 510, a first for Oris. The watch comes in a special wooden presentation box and comes with a coin issued by the Carl Brashear Foundation. We can’t think of a better way to find courage, motivation and inspiration than to have this watch on your wrist!